The best compliment to an addiction recovery event is adding a musical performance from Daphne Willis. Her lyrics, passion and music provides hope and inspires others! There is a raw emotion and compassionate understanding that illuminates from Daphne Willis – Her lyrics, her music and her voice conveys hope for others. Daphne is a musician singer songwriter and recovery advocate for those with substance use disorders and their families. She has a critical message to relay to others when she speaks and performs to audiences nationwide. Daphne’s famed “Somebody's Someone” has fast become an anthem for the addiction recovery community. The song and the lyrics sent as a reminder that we are all human. We are all somebody's someone and the lyric’s clearly set a reminder for others to offer more kindness and compassion for those suffering with addiction and mental health issues. 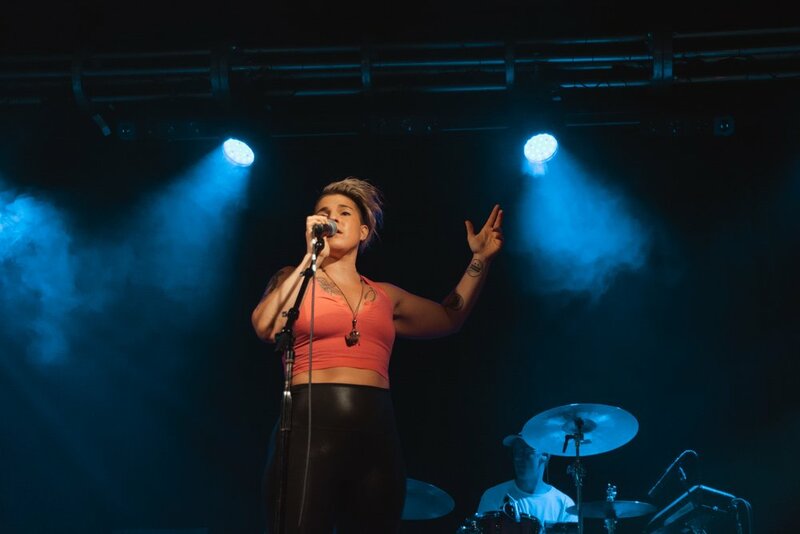 A gift to recovery and behavioral health events, Daphne openly shares not only her music, but speaks about her own journey with addiction and mental health. Classifying Daphne Willis in musical terms is no easy task, with infectious melodies delivered with lyrical precision and honesty, the songs and performances of Daphne Willis are sincere, compelling and relevant. Raised in Chicago, Daphne now calls New York City home and cites influences as varied as Elvis Costello and Michael Jackson, but her musical output cleverly incorporates such inspirations into a style that is refreshing and contemporary in a way that suits her songs best. An incredible talent, Daphne caught the eyes and ears of Sony/ATV Music Publishing in early 2016 who quickly signed Daphne to a worldwide publishing agreement. This partnership has resulted in several of her songs being recorded by other artists and used in Commercial, Film and TV productions such as nationwide ad campaigns for Clinique, Microsoft, and Xfinity, as well as on One Tree Hill, and Empire.